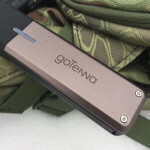 goTenna Review – No Service, No Problem! No towers, routers or satellites required! I’ve grown addicted to my cell phone. Sure, I use it to surf the internet – check work emails – and text my wife when I leave the office. However, it’s become more and more important as I head off for a weekend in the woods with the family. The thought of a major emergency going down while camping with two children under 10 terrifies me….well, I’m not really terrified – but it’s always something that’s in the back of my mind. 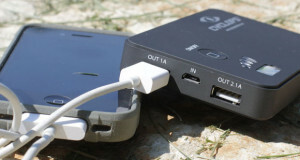 Whenever we split up, or head out for a hike I make sure that I’ve got my iPhone. It’s become my mental insurance policy. Just like many of you, I often find myself in “dead zones”. 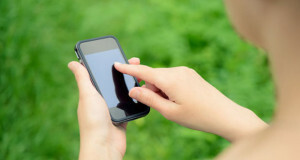 Areas that don’t have any cell phone coverage, and if they do – it’s gone, depending on which way the wind is blowing. There have been too many weekends to count where I place my phone in airplane-mode, using it only as a camera. 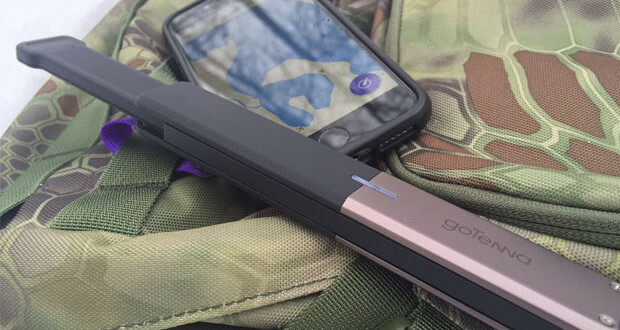 A few weeks ago we saw rumblings of something called the goTenna. 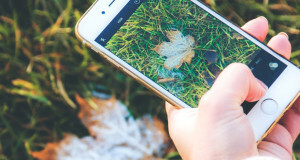 Its promises seemed almost too good to be true – a peer to peer communication system that syncs with your cell phone. We knew that we had to try them. Let me start by saying that I love the packaging of the goTenna. All too often, I buy electronics that’ve been hermetically sealed inside of a impenetrable plastic clam – leaving no other option than to attempt to loose a finger while slicing them open. The goTenna comes beautifully packaged in a craft brown cardboard box, simply sealed with a single sticker. Opening the box makes you realize that this isn’t a piece of technology that’s going to take hours to learn, with a simple quick start printed directly on the inside of the package. Following along with the steps, I logged onto the Apple App Store from my phone and downloaded the free goTenna app. The app is really at the core of this technology, and required. No need to fret if you’re an Android user – they’ve got you covered in the Google Play store as well. Once downloaded, getting up and running was a breeze. 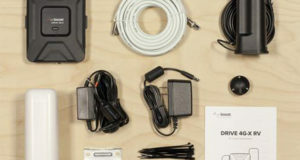 Simply connect each unit to your phone via Bluetooth, and you’re up and running. I decided to test the goTenna while on a early January ice fishing trip to a remote lake in Northern Wisconsin. The cell phone coverage in this neck of the woods is nearly non-existent. Because I was taking my 6 year old son out onto the ice, I knew that I had to have a plan for communication back to basecamp. I paired one of the goTennas with my iPhone 6, and the other with my wife’s iPhone. She was a bit nervous, having absolutely no experience with this technology. However, when our first text communication came through, letting her know that we’d made it safe to the ice house – she calmed down. Over the course of the afternoon we went back and forth with how things were going (you can imagine a 6 year old boy on a frozen lake for a half day). The goTennas performed perfectly. The worked so well in fact, that my wife has now made them a requirement every time we head out into the woods for a hike. If there’s one very small criticism, it comes from its lack of being waterproof. 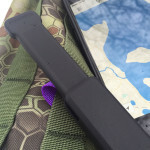 Although goTenna claims that it’s weatherproof and water-resistant, it made me nervous to expose it to the elements. I’m going to take their word for it at this point. 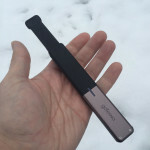 Overall, I’d recommend the goTenna to anyone who’s likely heading out to a zone that suffers from cell coverage. They work great. 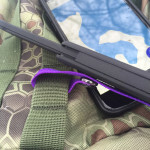 To learn more about goTenna, visit their website. Use Discount Code: 50CAMPFIRES to save $15 off til 11:59 pm EST on Jan. 31. Previous: Daily Outdoor #91 : We’re Baaaaaaack! !